DeepWater Buoyancy announced today that it has received OHSA’s Safety & Health Achievement Recognition Program (SHARP) award. The award was presented at the companies facility in Biddeford, Maine by Maine Department of Labor’s Director of Workplace Safety, Steven Greeley. Director Greeley was accompanied by members of Maine’s SafetyWorks team. Also on hand was Mathew Eddy, Director of Planning and Development for Biddeford. 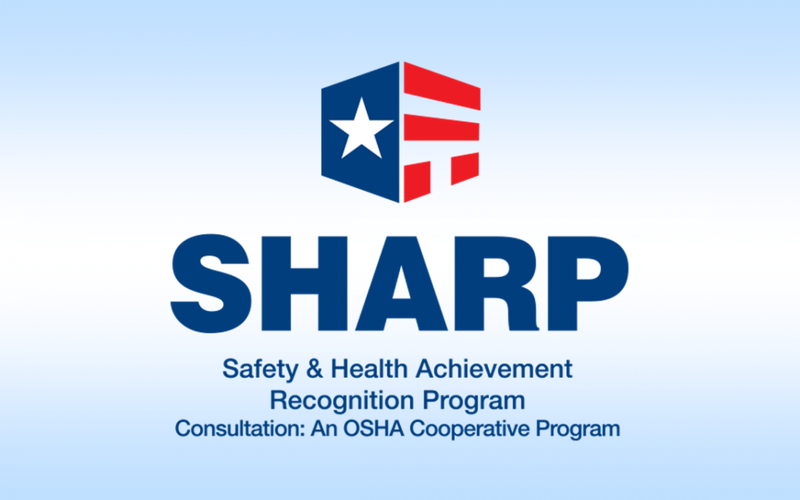 SHARP is a program that recognizes small business employers who have used OSHA’s On-Site Consultation Program services and operate an exemplary safety and health programs. 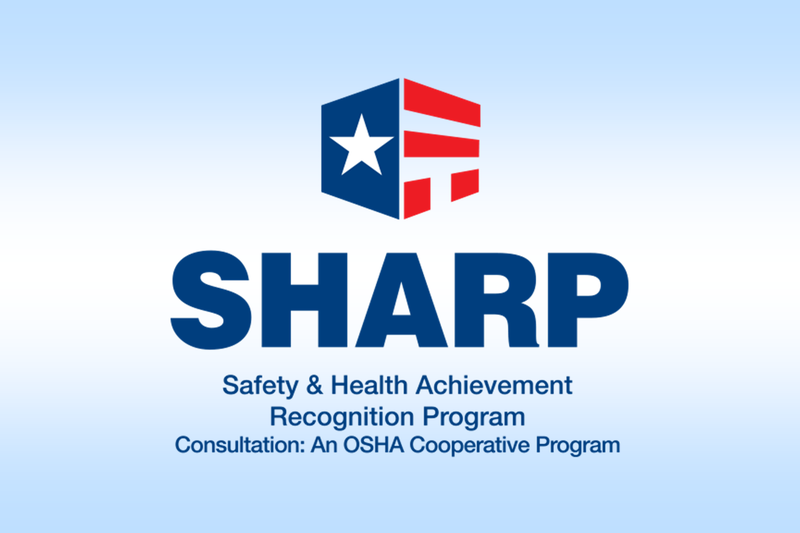 Acceptance of a worksite into SHARP from OSHA is an achievement of status that singles out a business amongst its peers as a model for worksite safety and health. Agree to notify their state’s On-site Consultation office prior to making any changes in the working conditions or introducing new hazards into the workplace. 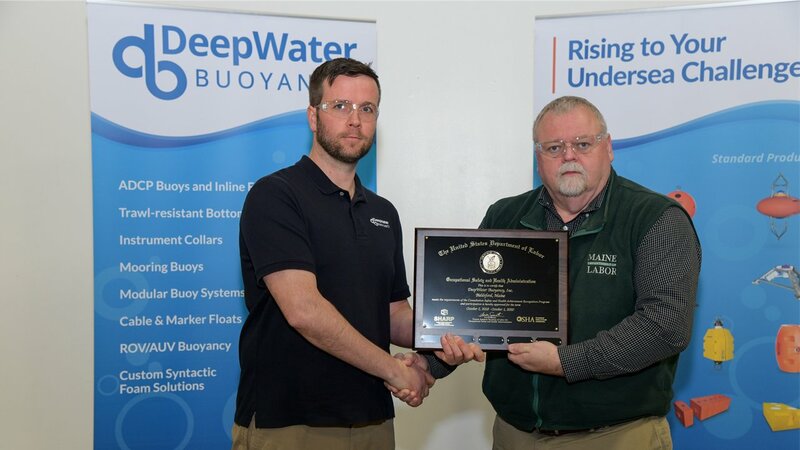 DeepWater Buoyancy is now one of approximately 60 companies in Maine and one of less than 1800 companies in the US who have achieved this status. 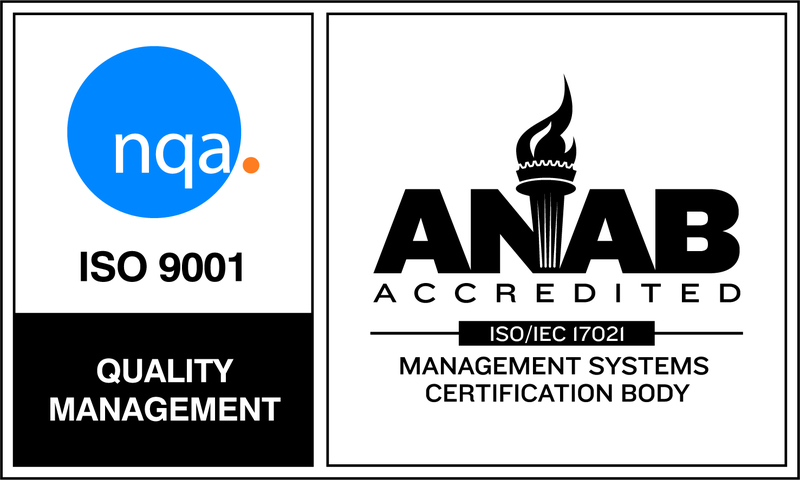 ISO 9001 is the internationally-recognized standard for Quality Management Systems (QMS). It is the most widely used QMS standard in the world, with over 1.1 million certificates issued to organizations in 178 countries. ISO 9001 provides a framework and set of principles that ensure a common-sense approach to the management of an organization to consistently satisfy customers and other stakeholders. In simple terms, ISO 9001 certification provides the basis for effective processes and effective people to deliver an effective product or service time after time. The 2015 version of ISO 9001 standard requires greater involvement by senior management, an increased focus on supply chains, and closer examination of stakeholder expectations.